The House Appropriations Committee is scheduled to mark up the Labor, Health and Human Services, Education, and Related Agencies (L-HHS) bill today. This follows a June 15 markup of the draft fiscal year (FY) 2019 spending bill in the L-HHS Subcommittee. The measure provides a total of $38.3 billion for NIH, an increase of $1.25 billion above the fiscal year 2018 enacted level and $4.1 billion above the President's budget request. The draft bill was passed out of subcommittee by voice vote, with Democratic opposition. The Senate Appropriations Committee June 28 approved its Fiscal Year (FY) 2019 Labor-HHS-Education spending bill (S. 3158, S.Rept. 115-289), approved by the subcommittee two days earlier. The bill provides a program level of $39.1 billion for the NIH, a $2 billion (5.4 %) increase over the comparable FY 2018 funding level. The committee report estimates that the funding level in the bill would support over 11,400 new and competing grants in FY 2019. Under the Senate bill, all institutes and centers would receive at least a 3.2 percent increase over the FY 2018 funding levels. Special recognition and appreciation to Chair Roy Blunt (R-Mo.) and Ranking Member Patty Murray (D-Wash.) for their bipartisan efforts on the bill. On Thursday, June 28th, there was concurrent House and Senate action on the FY19 Defense Appropriations Act. HOUSE: The full House approved their version of the Defense Appropriations Act. SENATE: The full Senate Committee on Appropriations marked up and approved their version of the Defense Appropriations Act. NEXT STEPS: With this markup (final amendment process) of both Defense and Labor-HHS (Health & Human Services) Appropriations, the Senate Committee on Appropriations has now cleared each of its FY19 bills. However, the big question is "How many of these bills will be brought to the Senate floor in the coming weeks?." Democrats will likely insist that the “domestic” appropriations bills first be approved before the Defense bill can come up. The Senate majority is consider packaging the Defense and Labor-HHS bills together. This could mean that we won’t even see the Senate bill on the floor until after the November elections. Stay tuned for more news over the next few weeks. The good news for kidney cancer community is the FY'19 Defense bill has an increase of $5 Million annually for kidney cancer research to a total of $20 Million. KCAN will keep you updated as this important piece of legislation moves forward. 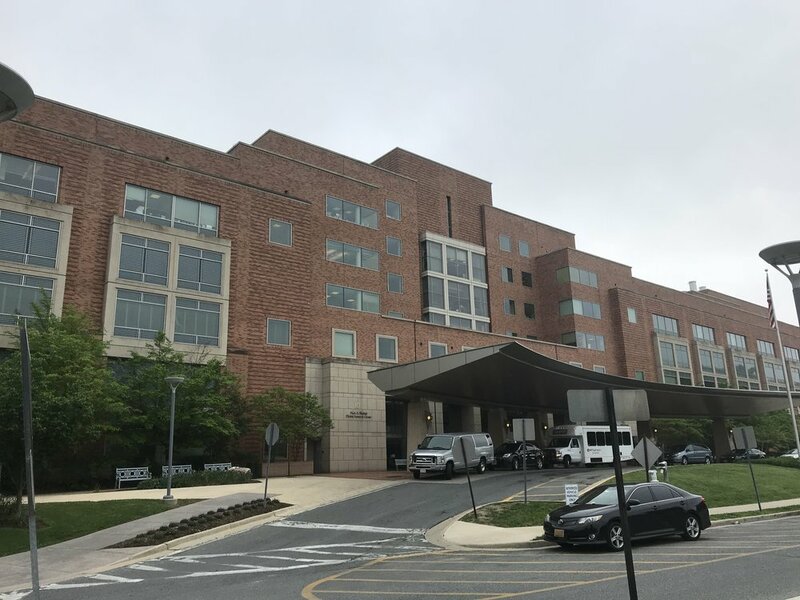 This week, I was joined by Carolyn Best, PhD, Director of Research of the AUA to meet Donna Kimbark, PhD, Program Manager, Kidney Cancer Research Program (KCRP) at Ft. Detrick, Maryland to discuss the latest news on the KCRP. 22 new research awards were recommended for funding totaling almost $8.5 million. You can take a look at the award categories and winners here. President Trump signed into law legislation dubbed "Right to Try" on May 30 allowing terminally ill patients access to experimental medical treatments not yet approved by the Food and Drug Administration (FDA). Here is a link to an article in The Hill and it is included here (Author: BY JESSIE HELLMANN, The Hill). Dubbed "right to try," the law's passage was a major priority of Trump and Vice President Pence, as well as congressional Republicans. "Thousands of terminally ill Americans will finally have hope, and the fighting chance, and I think it's going to better than a chance, that they will be cured, they will be helped, and be able to be with their families for a long time, or maybe just for a longer time," Trump said at a bill signing ceremony at the White House, surrounded by terminally ill patients and their families. Trump thanked lawmakers sitting in the audience who sponsored the bill, including Sen. Joe Donnelly, a vulnerable Democrat up for reelection in Indiana. Despite calling Donnelly a "really incredible swamp person" earlier this month, Trump thanked the senator for his work on the bill. Sen. Joe Manchin (W.Va.), another vulnerable Democrat up for reelection, was the only other Democratic co-sponsor on the bill, but did not attend the ceremony because he is in West Virginia this week, his office said. Congress is on recess this week for Memorial Day. Most Democrats and public health groups oppose the bill, arguing that it could put patients in danger. “FDA oversight of access to experimental treatments exists for a reason — it protects patients from potential snake oil salesmen or from experimental treatments that might do more harm than good,” said Rep. Frank Pallone Jr. (D-N.J.), ranking member of the House Energy and Commerce Committee. Opponents also argue it gives “false hope” to patients, since drugmakers aren’t required to give unapproved medicines to patients who ask for them. Supporters say, however, it will provide new treatment opportunities for terminally ill patients who have exhausted existing options. "While a long time coming, today is a monumental win for patients desperately seeking the ‘right to try’ investigational treatments and therapies," said Energy and Commerce Committee Chariman Greg Walden (R-Ore.) and health subcommittee chairman Michael Burgess(R-Texas). OVAC Lobby Day on Tuesday, May 15th had 100 cancer patients, survivors, caregivers, physicians and researchers representing 31 states on Capitol Hill pushing federal legislators to support a robust and sustained federal investment in cancer research and prevention programs. OVAC released a poll showing that nearly 92 percent of voters say federal medical research funding, including for cancer, is “extremely” or “very” important. Seventy-three percent say they support Congress’ decision to increase NIH funding by $3 billion in the FY 2018 omnibus bill and nearly 70 percent say they favor continued significant budget increases for NIH. Additionally, 68 percent of all voters—including 47 percent of Republican voters—oppose significant NIH budget cuts proposed by the president and 60 percent of respondents say Congress should continue to increase investments in medical research even in light of increasing national debt. And, 87 percent of voters say federal funding for state and local cancer prevention programs through the Centers for Disease Control and Prevention (CDC) is “extremely” or “very” important and 60 percent think CDC funding should be increased. This week both the House and Senate Appropriations Committees approved their FY2019 - 302 (b) allocations for each of their 12 Appropriations Subcommittees. This is the total amount of discretionary dollars given to each committee for their individual spending bills. The Senate Appropriations Committee provides the Labor-HHS subcommittee with $2 billion above the FY2018 allocation while the House Appropriations Committee provides Labor-HHS with level funds for FY2019 when compared with the FY2018 level. These spending levels mean that we will need to continue to make our case that funding for cancer research & prevention programs need to remain a top Congressional priority going forward. More than 10,000 researchers and urology professionals descended on the Moscone Center in San Francisco to discuss and to explain important updates in the urological research field, including kidney cancer. NIH Director Francis Collins, MD, PhD, and five institute directors May 17 testified before the Senate Appropriations Labor, Health and Human Services, Education, and Related Agencies Subcommittee. Dr. Collins’ opening statement is available on the NIH website. Committee members highlighted three years of strong budget growth for NIH. 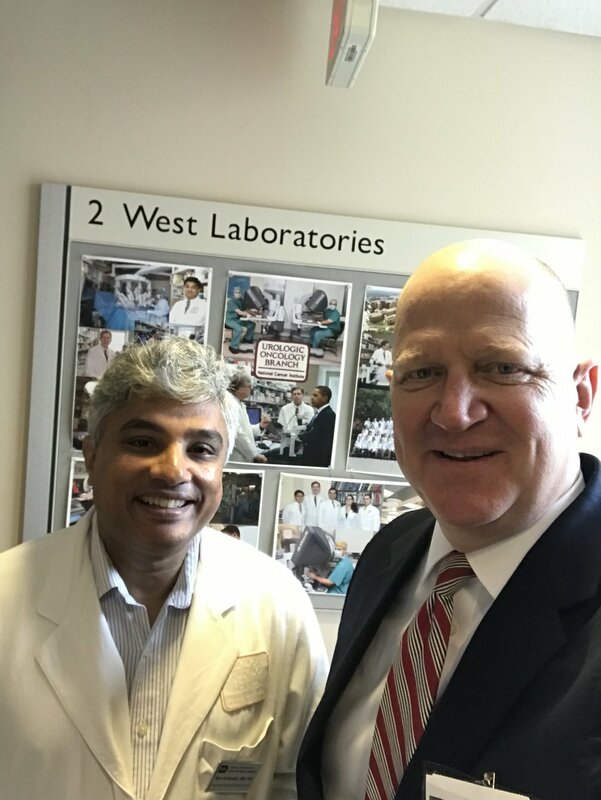 Here are a few shots from visits to the NIH and Capitol Hill to request an increase in research funding for the National Cancer Institute at the National Institutes of Health. This week’s update includes information on the AUA’s advocacy for graduate medical education funding as well as funding for cancer research and prevention. As part of the AUA’s continued efforts to remain engaged with the offices that AUA members met with during the Annual Urology Advocacy Summit, the AUA had multiple follow-up meetings to provide more specific details and answer staff questions on the issues discussed during the AUA Summit Hill meetings. On April 25-27, the AUA met with staff in the offices of Senators Rob Portman (R-OH), Bill Cassidy, MD (R-LA), Richard Burr (R-NC), Michael Bennet (D-CO), Johnny Isakson (R-GA), Orrin Hatch (R-UT), John Cornyn (R-TX), Pat Roberts (R-KS) and Debbie Stabenow (D-MI), as well as Representatives Brian Higgins (D-NY-26), David Schweikert (R-AZ-6), and Sandy Levin (D-MI-9). We will continue bridging congressional offices with Advocacy Summit attendees and look for opportunities to collaborate during the remainder of the year. 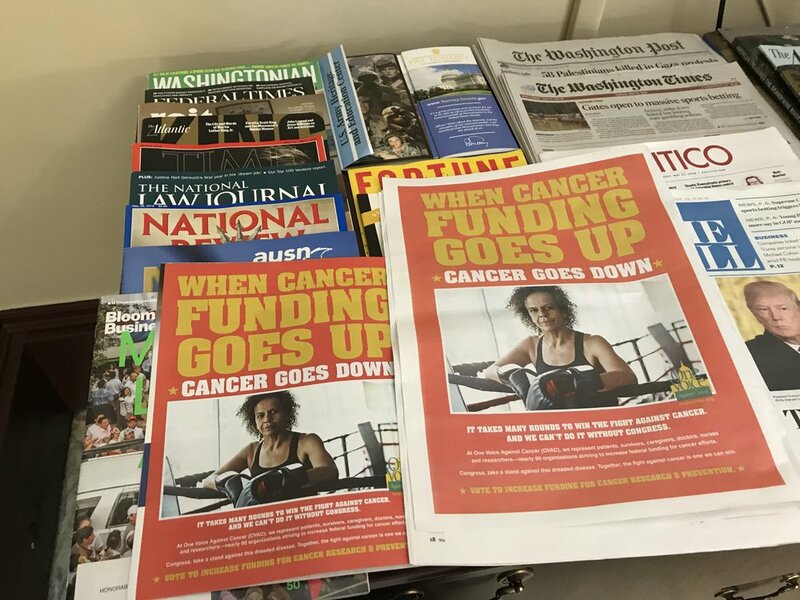 On April 25, in collaboration with the One Voice Against Cancer (OVAC) coalition, the AUA participated in meetings with staff from the House and Senate Labor, Health and Human Services (HHS), and Education Appropriations Subcommittee, as well as with staff in the offices of Senators Shelley Moore Capito (R-WV) and Brian Schatz (D-HI). The meetings focused on urging Congress to make funding for cancer research and prevention a top priority in fiscal year (FY) 2019. OVAC also shared a letter with Congressional staff to emphasize the need for increased, predictable and sustained federal investment and outlines OVAC’s cancer research appropriations for FY 2019. OVAC recommends a $39.3 billion budget for the National Institutes of Health, including funding provided through the 21st Century Cures Act, $6.375 billion for the National Cancer Institute, and $514 million for Centers for Disease Control and Prevention that includes $35 million for a prostate cancer awareness campaign. Further meetings with offices on the Appropriations Committee are scheduled for May 14-15 during OVAC’s Legislative Day of Action. Additionally, the AUA supported the Friends of National Institute of Diabetes and Digestive and Kidney Diseases (FoNIDDK) initiative to support the NIDDK in receiving $2.165 billion in FY 2019. This funding will ensure that the vital benign urologic research activities taking place at the NIDDK sustained. Finally, in collaboration with our patient advocacy partner, Kidney Cancer Action Network, on April 25, the AUA met with the office of Representative Nita Lowey (D-NY-18), Ranking Member of the full House Appropriations Committee. The meeting focused on thanking the Congresswoman for her efforts in securing a $15 million line item for the Kidney Cancer Research Program as part of the Department of Defense’s Congressionally Directed Medical Research Programs for fiscal year 2018. This $5 million increase from the previous year was the largest increase ever in the federal budget for kidney cancer research, and urged Rep. Lowey’s ongoing support for this critical program in FY 2019 and beyond. Precision Medicine may have just gotten a boost from this NIH initiative to enroll 1 million members into its genomic database. Watch a video of NIH Director Francis Collins as reported by the Washington Post here. Ever wonder what the 'nuclear option' refers to regarding Senate legislation? If you have heard the term "Nuclear Option" when it comes to the Senate, here is a good explanation in a short video format. Click below to watch the hearing to review the Fiscal Year 2019 funding request and budget justification for the Defense Health Program. Politico reported that the HAC and SAC Chairmen are working to coordinate their FY 19 302(b)s.
We have also heard that SAC Chairman Richard Shelby is working with Vice Chairman Patrick Leahy. Senate Appropriations Chairman Richard Shelby said today that GOP spending leaders are planning to closely coordinate their subcommittee allocations in an attempt to fast-track bills to the floor this summer. Shelby and House Appropriations Chairman Rodney Frelinghuysen discussed the funding levels for individual bills, known as 302(b)s, in a closed-door meeting today. Shelby told POLITICO after the meeting that he and Frelinghuysen plan to match 302(b)s "as much as we can. ""We're going to work together to try to come to regular order, and we know that's a challenge," Shelby told POLITICO. "We're hoping it's workable, we want to make it efficient and we want to do our jobs. "When asked if the House would match the Senate's 302(b)s this year, Frelinghuysen told POLITICO after the meeting: "We're going to be working very closely together." The New Jersey Republican added that he and Shelby, an Alabama Republican, are "on the same page." Closely coordinating 302(b)s would be a shift from last year, when the House and Senate panels started with vastly different spending levels for their individual fiscal 2018 bills. House appropriators were told to write their bills assuming that sequestration would actually go into effect, while Senate appropriators wrote their bills using the previous year's funding levels. The 302(b) allocations - which determine how much of Congress' overall spending pot for fiscal 2019 goes to each of the 12 subcommittees - are expected to be released any day now. Both Appropriations panels are planning to release their first bills within weeks. 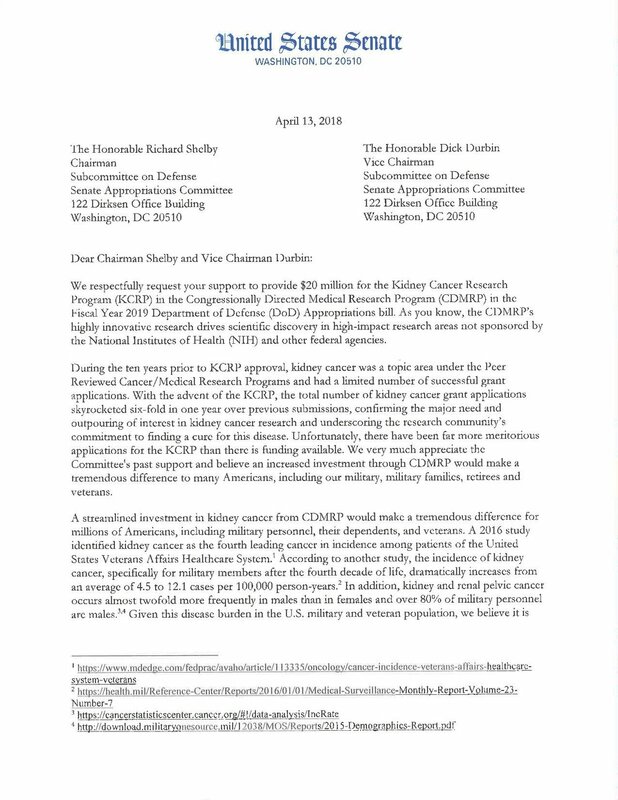 Sen. Kirsten Gillibrand, (D-NY) and several of her Senate colleagues including Sen. Mazie Hirono, (D-HI) signed onto a Dear Colleague letter (circulation within the Senate Chamber and addressed to the Senate Defense Appropriators) requesting $20 million for the FY'19 funding level for the Kidney Cancer Research Program (KCRP) pursuant to the Congressionally Directed Medical Research Program. In a breakthrough for the treatment of those with advanced kidney cancer, the FDA approved two immunotherapy drugs, nivolumab and ipilimumab, to be provided in combination as a first line treatment option. You can read more here. The FDA granted these applications priority review and breakthrough therapy designation. This is an exciting development for the community as there were a significant number of patients in the trials who experienced very favorable responses in terms of tumor shrinkage. The FDA official announcement is here.